Election in seven municipalities in West Bengal, including four in Darjeeling hills, held Sunday with opposition accusing Trinamool Congress of resorting to 'strong arm tactics' and demanding a free and fair poll. 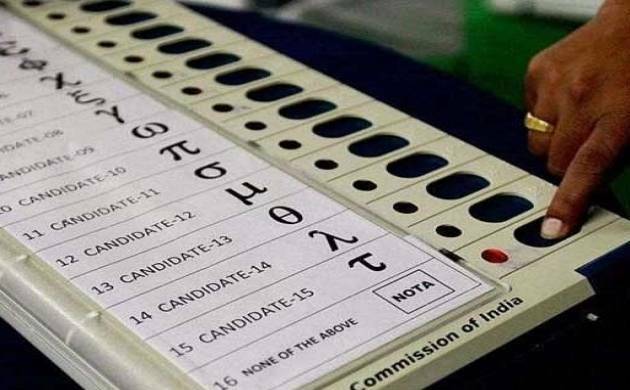 Reportedly, miscreants barged into a polling booth in a school, despite Police presence in Raigunj in Uttar Dinajpur district and broke EVMs. In ward no.11 in Domkal in Murshidabad district miscreants stop voters from casting their vote and break EVMs. This took place allegedly in the presence of Police. There are reports of crude bombs being hurled and gunshots heard at Domkal,Raigunj and Pujali in South 24 Parganas districts. The seven civic bodies going to polls are, Darjeeling, Kurseong, Kalimpong, Mirik Notified Area Authority in the Hills besides Domkal in Murshidabad, Pujali in South 24-Parganas, and Raiganj in North Dinajpur. Election in Darjeeling district, is witnessing a straight fight between an aggressive TMC and GNLF alliance and Gorkha Janamukti Morcha (GJM)-BJP alliance.